The game for 2018, FIRST POWER UP! involved scoring points on an arcade-themed field. Teams were challenged to place milk crates, or "power cubes" on balancing platforms, attempting to tip them to their side to gain ownership. Alliances also traded power cubes for “power ups,” giving them a temporary advantage in the game. 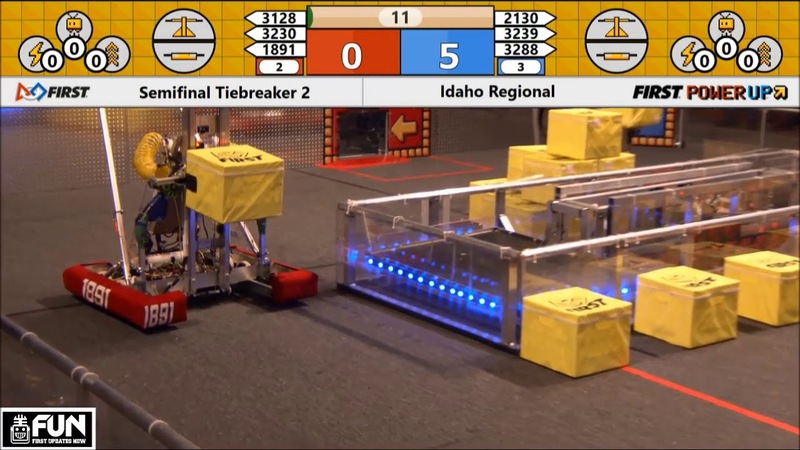 At the end of the game, robots attempted to climb the tower attached to the center balancing scale, giving them additional points. 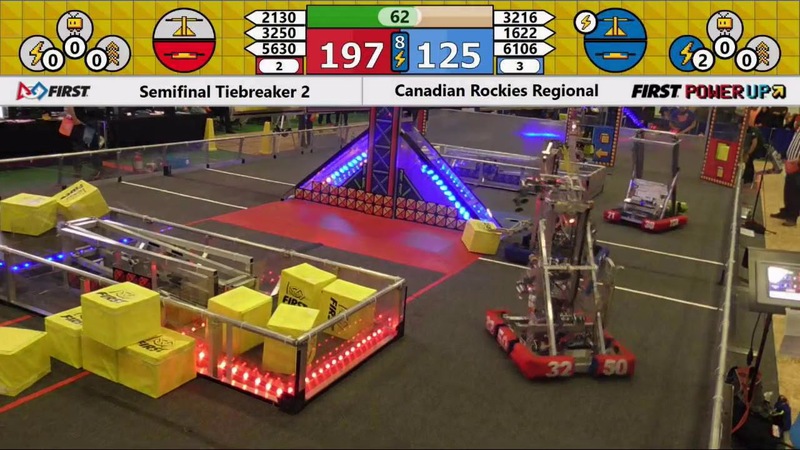 We attended the Idaho Regional at the Taco Bell Arena in Boise, from March 28-April 1, and the Canadian Rockies Regional at the Genesis Centre in Calgary, AB from April 4-8. In all, we competed with over 70 teams from Wyoming, California, Utah, Washington, Colorado, Montana, Hawaii, Idaho, Canada, Mexico, Germany, Turkey, and China. At the World Championship in Houston, Texas, were in the Turing Division. 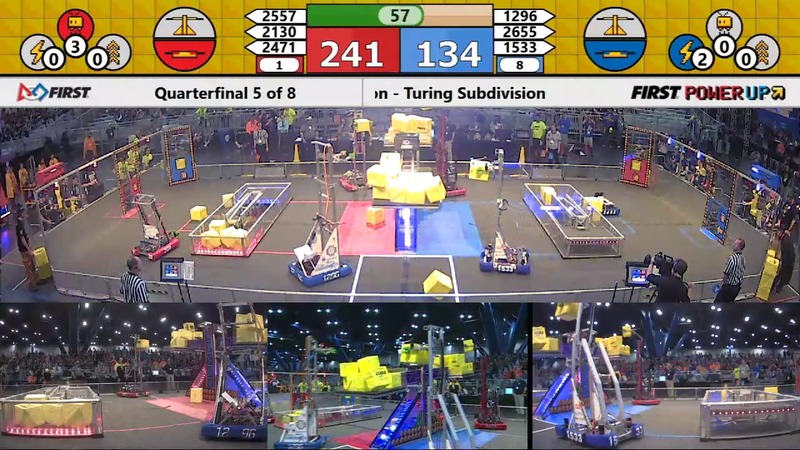 We ranked 30th, and were chosen by #1 Alliance as 4th alternative partner with 120 Cleveland’s Best (we replaced them after first final match), 2471 Team Mean Machine (PNW!) and 2557 SOTAbots (PNW!!) We played in after the first game, replacing Team 120, Cleveland’s Best. We made it to quarterfinals! Alpha+ also competed with 23 other teams at the off-season event, Robot Rewind, at West Valley High School in Spokane, WA. Joining us were members of our middle school robotics class who helped with scouting. 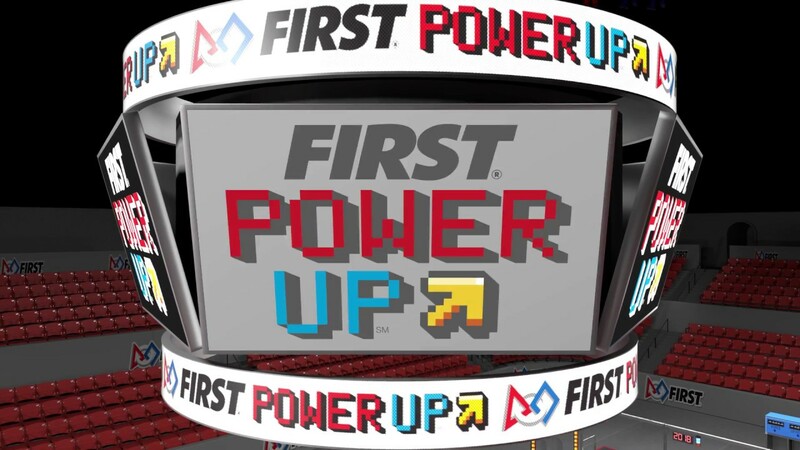 We played FIRST POWER UP! and ranked 13th at the end of the qualifying matches. We were chosen by the third-ranked team, 4513 Circuit Breakers and played with teams 4061 SciBorgs and 6465 Mystic Biscuit. We made it to the semi-finals, finishing in fourth place!